Woods could smell victory with 200 meters remaining of the world champs, but cramps caused the Canadian to "pedal squares" into third place. A missed water bottle could have cost Michael Woods the rainbow jersey. The EF Education First-Drapac rider finished a history-matching third Sunday in Austria to give Canada its second world championship bronze-medal podium spot, but could have a missed feed cost Woods the world title? Woods hinted as much. One water bottle — that’s how close Woods was to the world title and perhaps missing out entirely on the final UCI World Road Championships podium. 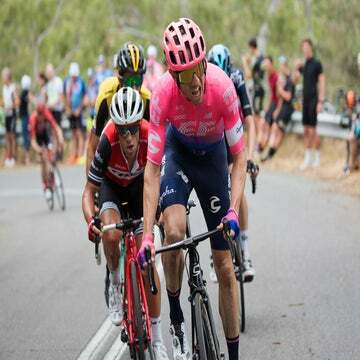 When Tom Dumoulin (Holland) bridged up with just over one kilometer to go at the sharp end of the scintillating elite men’s road race, the scenario immediately changed from what was a three-up sprint with a guaranteed medal to seeing one odd man out. Up to then, Woods raced a near-perfect race during the six hours-plus on Innsbruck’s technical and challenging course. The final steep climb was ideal for Woods’ explosive style. 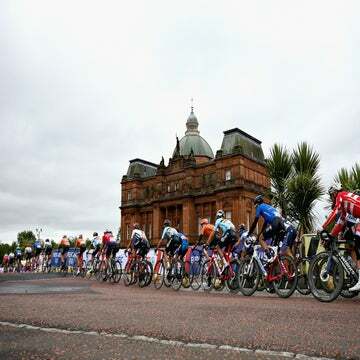 His followed his pre-race strategy to mark France’s Julian Alaphillipe. 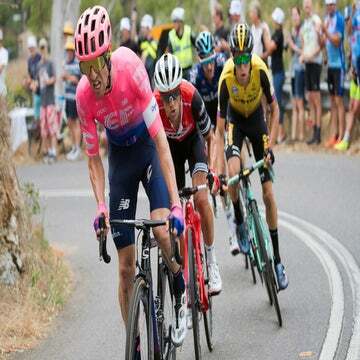 When France opened things up on the final Höll climb, Woods was in pole position to follow Romain Bardet and Valverde. Woods surmised correctly that Dumoulin was likely cooked from his hard effort to bridge across, and focused on Valverde. The veteran and controversial Spaniard led out the sprint with 300m to go and held off Bardet and Woods to win a long sought after rainbow jersey, but Woods was plotting the win. Things went right for Valverde, and a cramped-up Woods trailed through third to give Canada its first elite men’s road race worlds medal since Steve Bauer was third in 1984. So why wasn’t Woods jumping with joy? Because he knew how close he was to victory. “Immediately after — disappointment,” he said. “I can’t believe I am saying that now, but when I crossed the line that is what I truly felt. I honestly thought I was going to beat Valverde with even 200m to go, but once I started to cramp, I saw that fade away. The bronze medal caps a breakout season for the 31-year-old former middle distance runner who only turned pro little more than five years ago. In just his third WorldTour season, Woods rode to second place in Liège-Bastogne-Liège and won his first WorldTour and grand tour stage at the Vuelta a España last month (when he gave an emotional tribute to his still-born son). Woods was an outsider medal favorite coming into the worlds behind pre-race favorites from Italy, France, the Netherlands, and Spain. Coupled with his seventh place on GC in the 2017 Vuelta, his worlds podium performance confirms his arrival to the elite of the peloton. “This year I feel as though I have really stepped up my consistency and shown that now, as long as I am healthy, I can contend against the best riders in the world,” he said. “This confidence and inner-belief is making racing at the WorldTour a lot less scary and a lot more fun. The fun will continue into the season-closing fall classics, where Woods should be among the favorites to take revenge against Valverde in the Giro di Lombardia later this month.